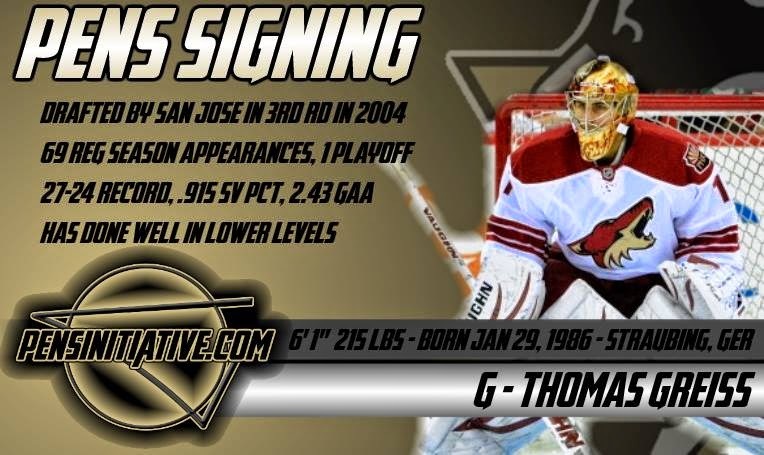 The remake of the Pittsburgh Penguins continues under general manager Jim Rutherford with the signing of goalie Thomas Greiss. Greiss, the Fussen, Germany native, joins the Penguins on a one year, $1 million deal. He's yet another European added to a roster that was largely North American under former GM Ray Shero. Greiss, 28, has had a few tastes of the NHL in his time but until recently had not been given much of a chance to prove himself. 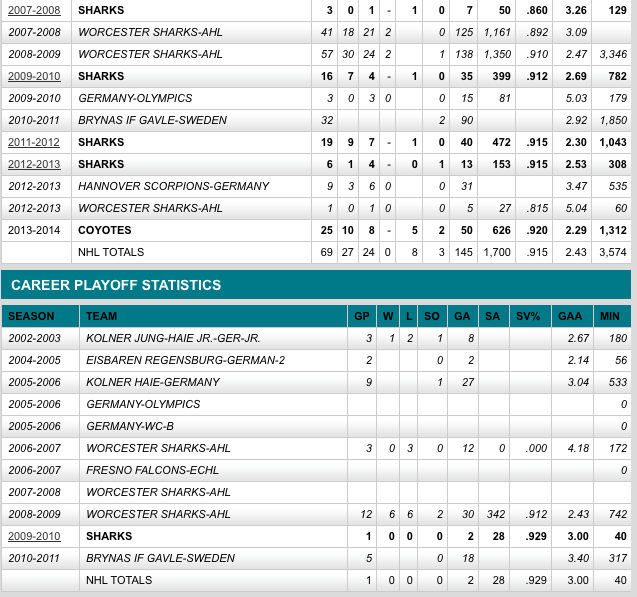 Between 2007-08 and 2012-13 he never had more than 20 games to prove himself in the NHL. That all changed last year when he was traded to the Phoenix Coyotes. While with the Coyotes the 6'1", 192 lbs Greiss finally saw a good deal of playing time. When given his time he did fairly well on a bad Coyotes team going 10-8-5 in 25 appearances with a 2.29 GAA and a .920 save percentage. What this means going forward for last year's backup, Jeff Zatkoff, is unclear. It's widely thought that this will be the end of his time in Pittsburgh making him yet another chip to trade in the retool of a Penguins team being remade. Yes! He's got the coolest mask in hockey!